>> For an International blank entry sheet, St. Patrick Coloring Entry Form Ireland 2019. 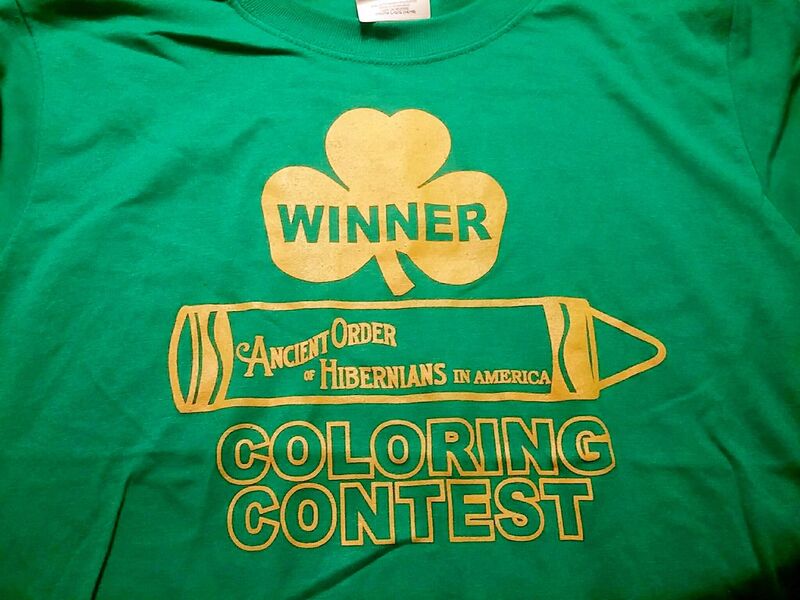 For the past 46 years, the Hibernians have conducted this wax-crayon Coloring Contest for Kindergarten through 4th grade students. We hope this contest reinforces that St. Patrick was a real person and teaches the children of the symbolism of the Shamrock (the leaves of the shamrock make one plant, and the Three Persons of the Trinity is One God). Each entry is carefully considered. “There’s certainly no pulling the winner out of a hat,” according to the Coloring Contest founder and head judge, Ken McKiernan. McKiernan started the contest in the early 1970’s. From the 5,000 Louisville entries returned to the AOH each year, usually 16 winners are chosen: one from each grade and one Grand Prize winner. This year, thanks again to the generosity of King Southern Bank, there are two divisions: an international/Irish division and the US division PLUS more winners! In the IRISH/INTERNATIONAL Divison, ONE winner will be chosen from each Class (JI-6) and ONE GRAND PRIZE WINNER will be chosen. All winners will receive prizes! In the US Division, THREE winners will be chosen from each grade. All winners will receive their framed entry and a t-shirt and will march or ride with their families in a TARC EV bus in the St. Patrick’s Parade on Baxter/Bardstown Rd. 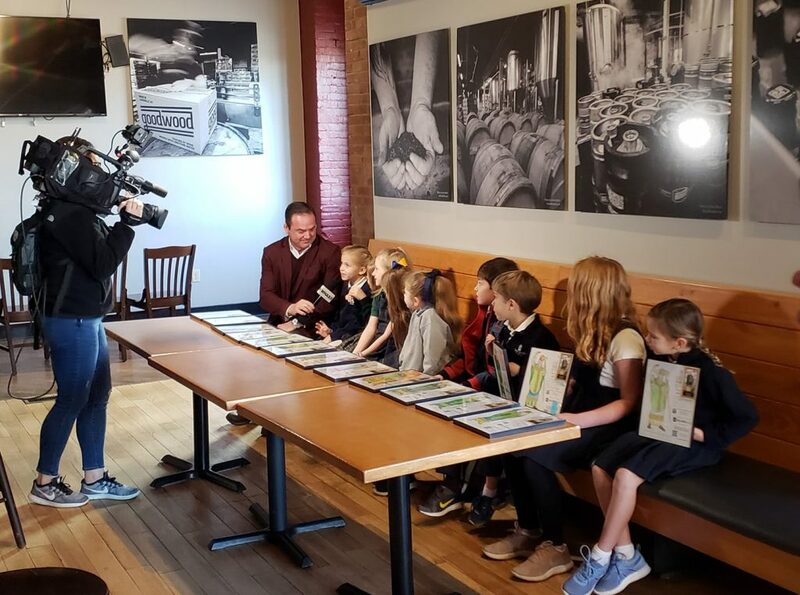 The Grand-prize winner and winners from each grade will be honored at the AOH’s St. Patrick’s Mass The Grand Prize winner will also receive $100, courtesy King Southern Bank. Each year, about 8,000 Coloring Contest entries go out to the Catholic schools, though all children are invited to participate. For more info, call: (502)254-3172. Thanks to KING SOUTHERN Bank for once again supplying this year’s prize! Winners get a shirt and a special place in the Parade! 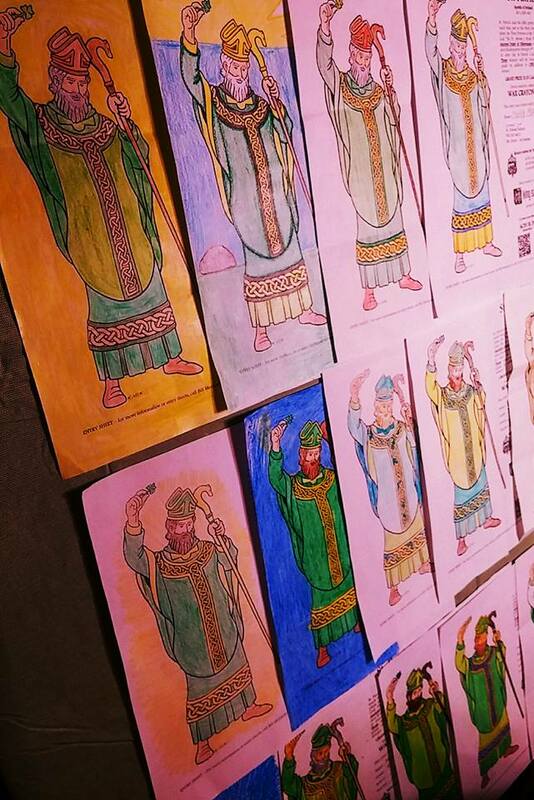 To learn more about St. Patrick’s story, click here!